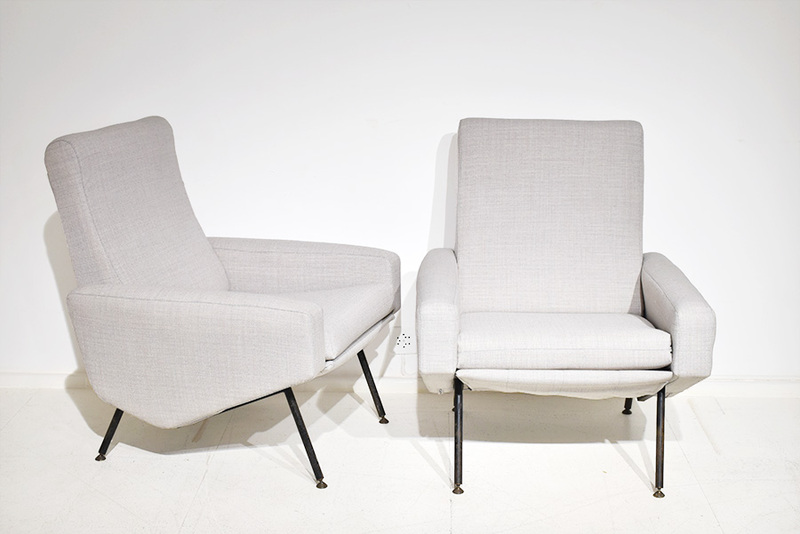 Pair of lounge chairs newly upholstered with a light grey Kvadrat fabric, on a tubular metal base, black enameled. 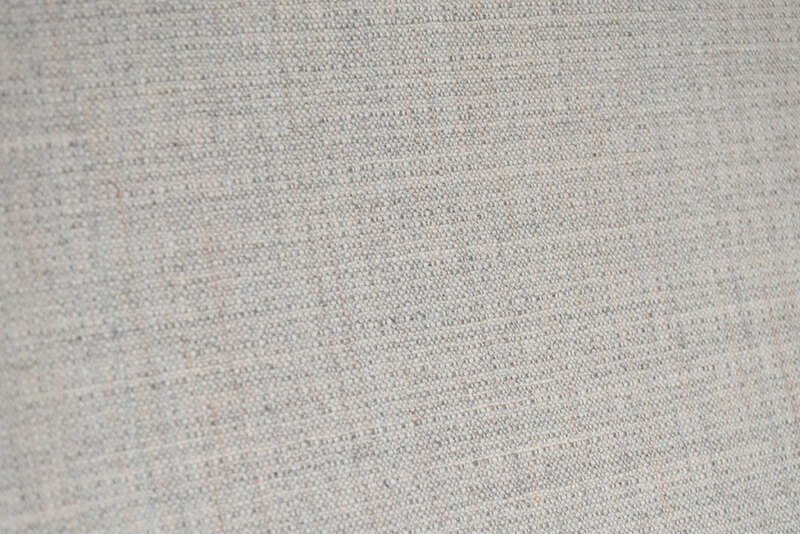 In very good condition with wear and oxidations on the feet. 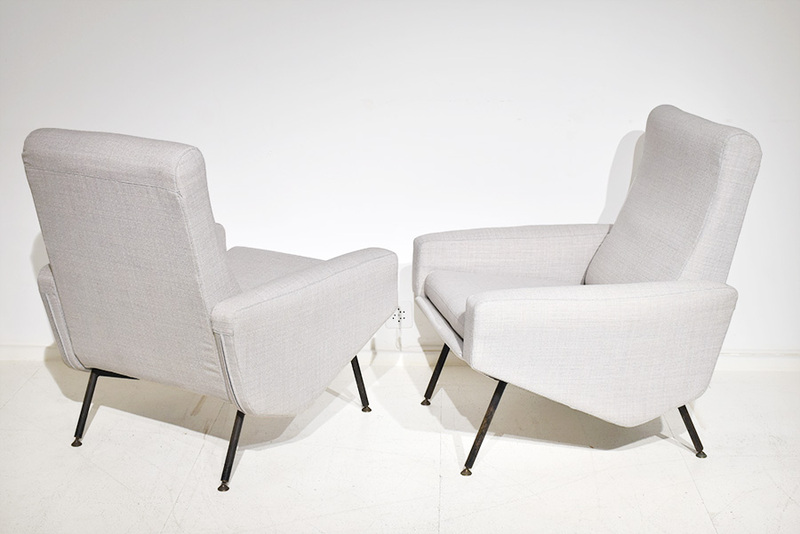 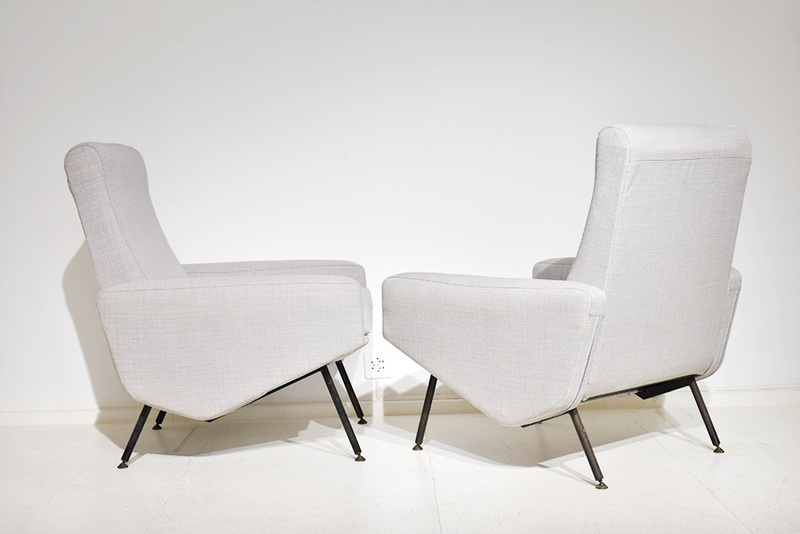 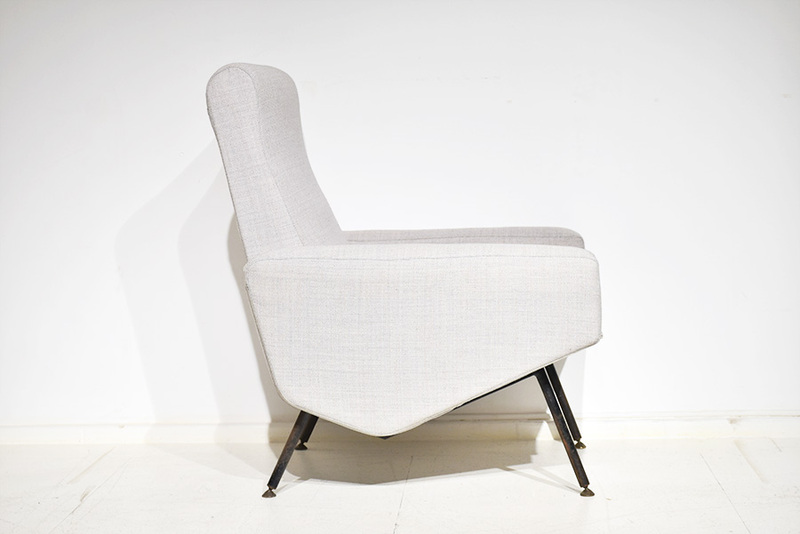 Beautiful and rare pair of Troika lounge chairs designed in ca. 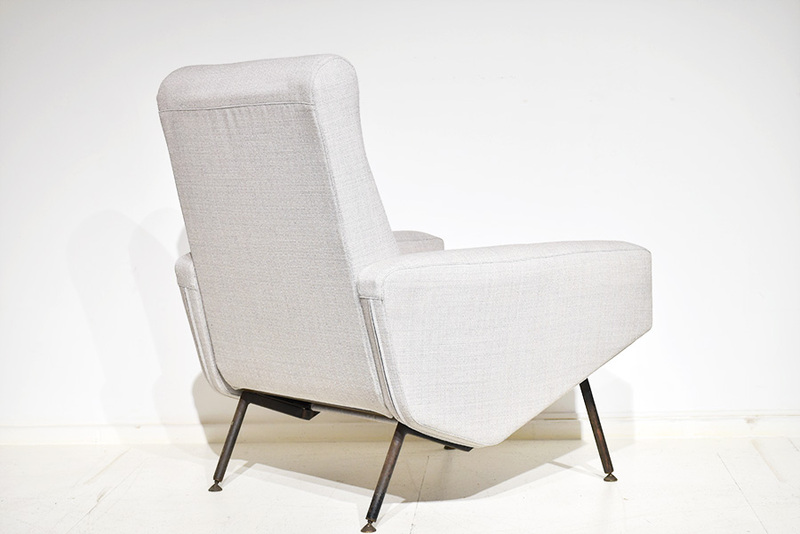 1950 by Pierre Guariche for Airborne. 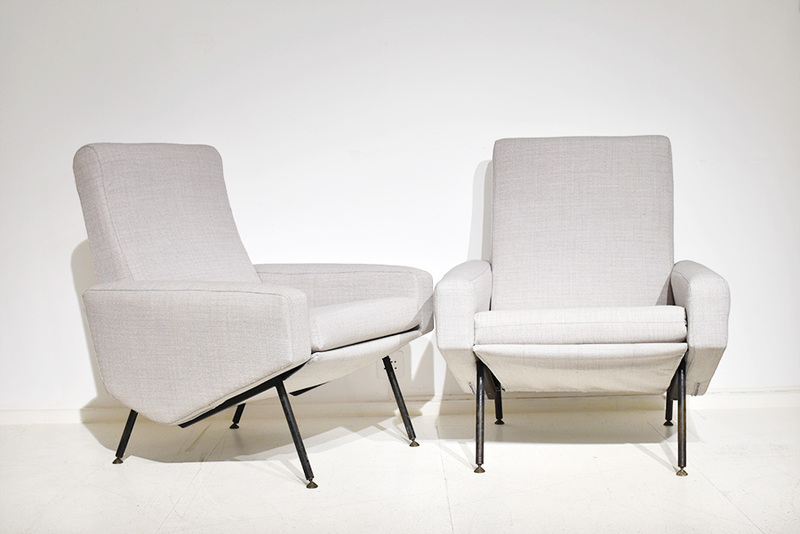 The Troika model is no longer in production and is very desirable for mid century design lovers. 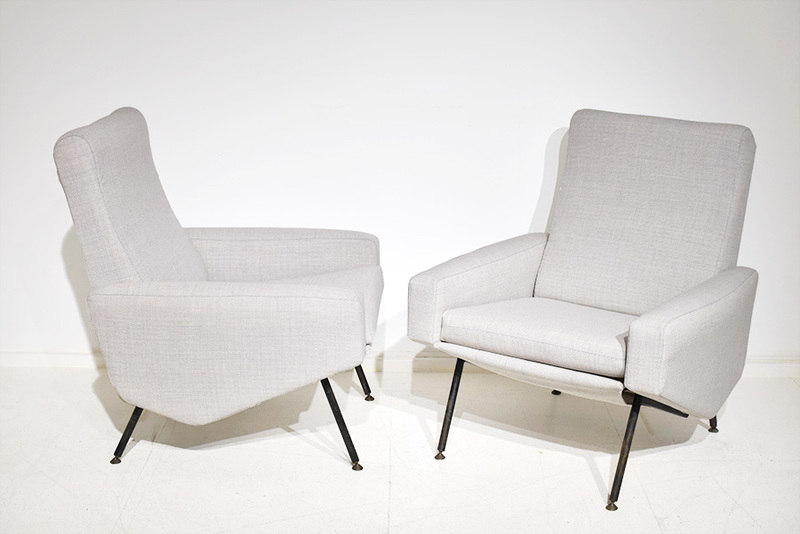 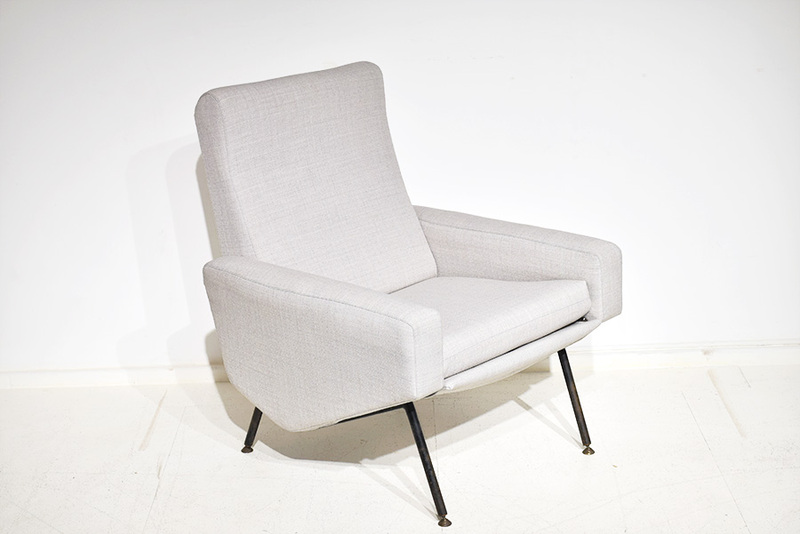 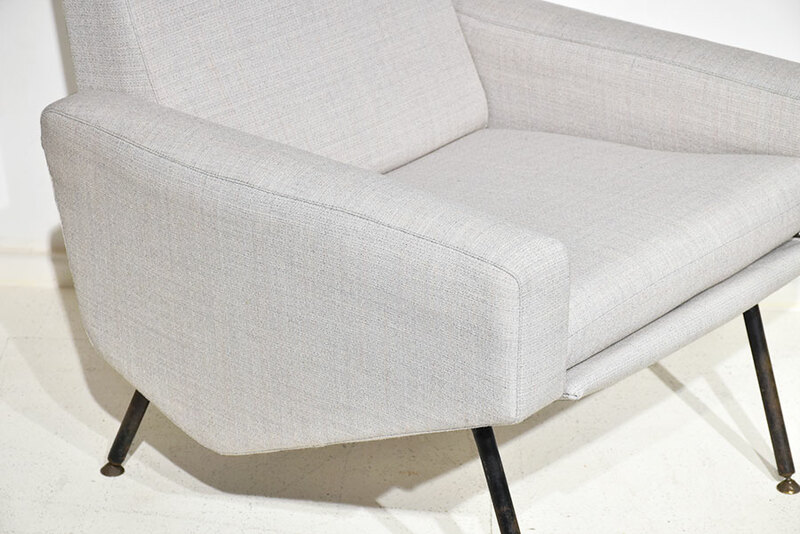 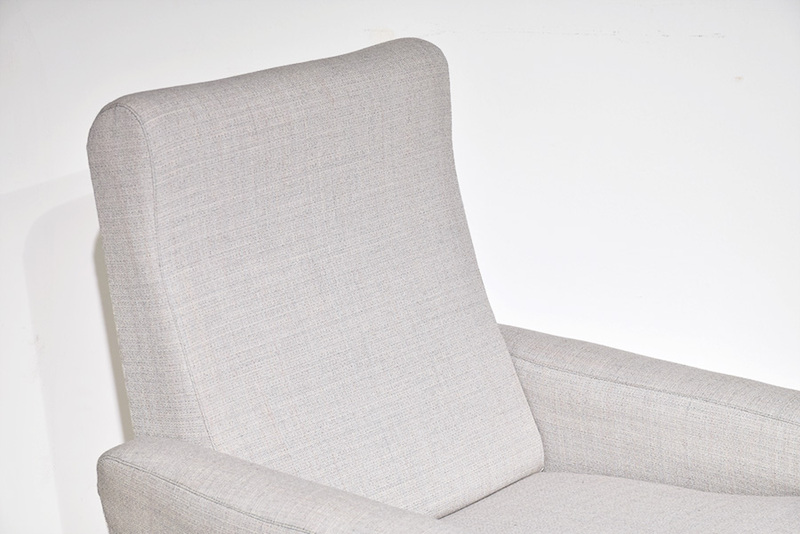 Pair of elegant armchairs newly upholstered with a light grey fabric from the Kvadrat collection (Ref. 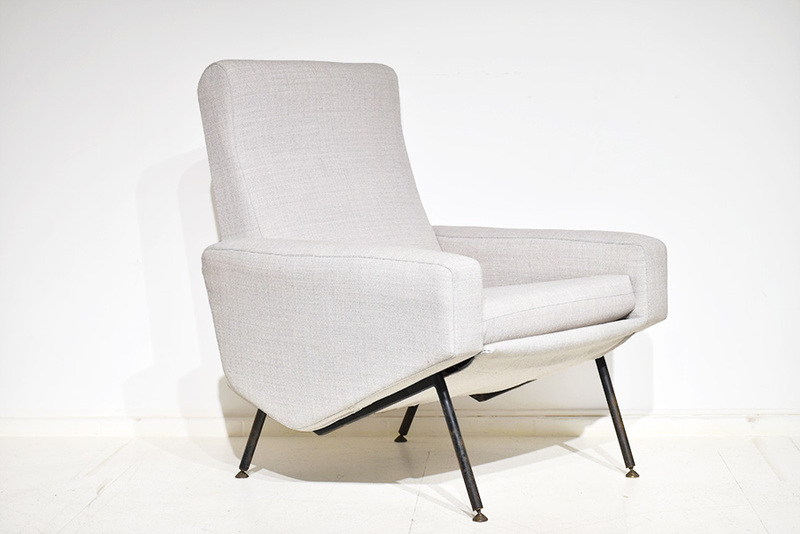 Floyd 0193), on a tubular metal base, black enameled.